First ever app in the universe which is managing our whole media; Photos, Videos & Music at 1 place! All your pictures, videos and music, JUST A SWIPE AWAY! I am not surfing between different apps for images, Videos, Camera and music, normally everyone is managing everything in different apps, but now we can enjoy all our media in the very popular and useful “VuLiv’’ app with the best ever user experience! Different views for images and videos, beautifully segregated, one can easily sort it as per month, day or date. A well designed and developed music player with equalizer that comes loaded with 19 pre-sets including custom! 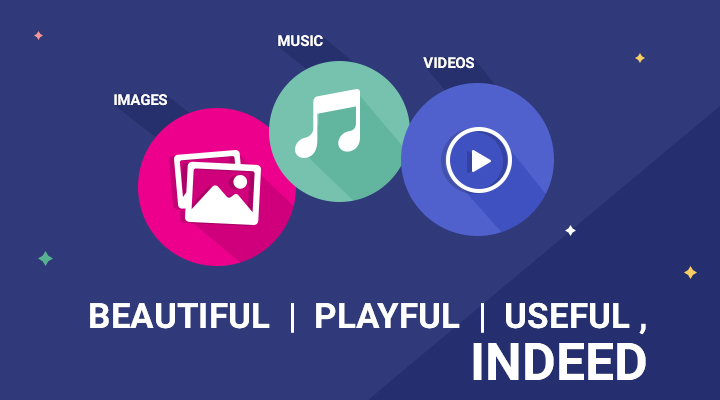 Find your music sorted as artists, genres, Albums and playlists with a better user experience. A media player with the best gesture controls and viewing experience is a cherry on cupcake. You can play almost every major known format for photos, videos and music in this player which is very Beautiful, Playful, Useful!